An early casualty of the digital photo revolution was the traditional photo album. During our stay in the UK and Italy last year I took 4,626 photos. Of that vast number exactly none have been printed out. They are all stored on my iMac, and on two back up drives that sit humming away next to it. If we want to show people the photos we gather around the television and run a slide show with commentary provided by Jean and I as our guest’s eyes slowly glaze over. We have lost the tactile fun that is a photo album – and we were reminded of this when my brother and his wife visited last weekend. They had just returned from a trip to Texas and the East Coast of the USA. Upon returning, brother Geoff had taken the memory card from his camera to the local photo printing place and returned with 6×4 glossies. All of which are now in photo albums. Going through them was a pleasure. All of us huddled around the albums as they were passed around. Fingers pointing at certain shots and describing the situation that went before or after. Turning pages to connect one shot with another. We spent an hour going through them and didn’t realise where the time went. So here’s the thing. If you’ve got all your photographs sitting on hard drives or CDs of DVDs, go non-digital and print off an album or two. I intend to. Five years ago we had never seen a Tui in our back yard. We thought of them as birds of the bush or forest, certainly not visitors to our suburban home. These New Zealand native birds have a distinctive white ruffle under their chin and a call which is a mix of ringing bells, clicks, whirrs and buzzes – with the sound of someone gargling mixed in for good measure. 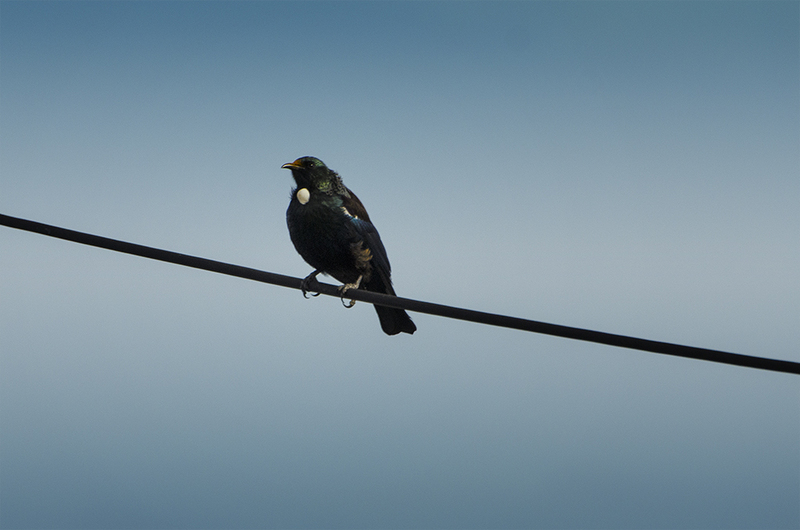 About 3 years ago Tui just started to appear around the house and now their annual arrival is a mark of spring and the arrival of the warmer weather. Their resurgence in numbers has been quite significant and is due, in no small part, to a successful breeding programme at our local wildlife reserve. I started writing this post as an endorsement of a fantastic service for turning your blog posts into a book – Feedfabrik.com. But I’ve just learnt that, due to problems between the partners, they have stopped taking orders, their website is offline, and it is unlikely to return anytime soon. 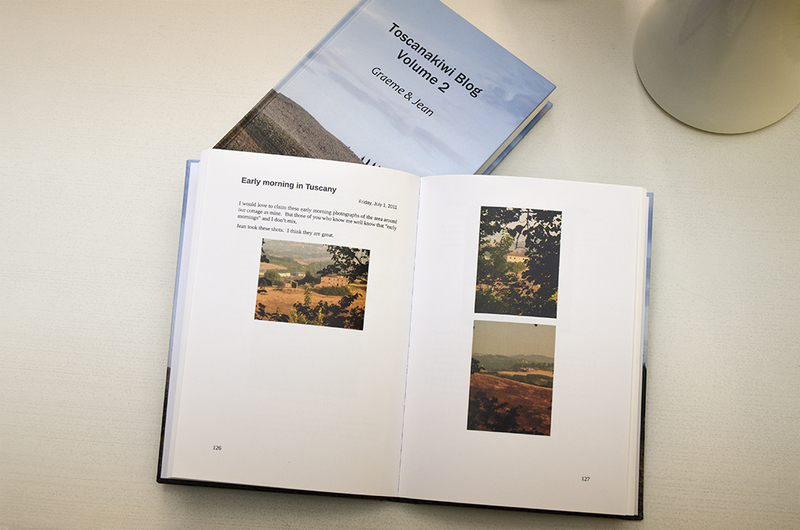 I first used Feedfabrik last year to produce a simple black and white book of the first 100 toscanakiwi posts which we had delivered to our cottage in Tuscany. We carefully carried it around Europe on our travels and it’s sitting, slightly battered and beaten up, in the bookcase next to me. A month ago I ordered two volumes of blog posts (about 200 posts in all) hard bound on high quality paper and in full colour because they produce the pictures that go with blog posts as well as the writing. The books arrived last week and they look absolutely stunning. It is a real shame that others won’t be able to make use of this excellent service in the foreseeable future. Our thanks to the team at Feedfabrik.com. We love your work and hope that you’ll be back soon. It’s just a jersey, right? I am a rugby fan. I just want to say that up front. I religiously follow the All Blacks, I tune in to as many Super 15 games as I can and I’ve even managed to watch some ITM Cup games despite them being sprayed, seemingly randomly, across the week. Readers of the blog may also remember the lengths we went to last year when we were living in Siena to find a place to watch the All Black games in the Rugby World Cup – live at eight in the morning. I am a rugby fan. 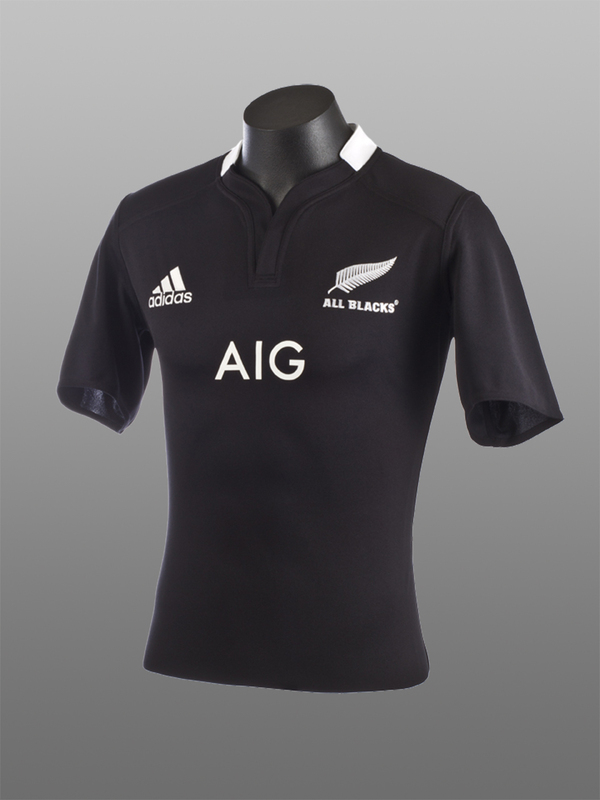 So last week I was fascinated by the announcement of a new All Black sponsor – AIG Insurance – and more importantly the placing of their logo on the sacred black jersey. On the front of the jersey, in the middle, where no logo has ever gone before. As a marketing guy by trade I had one of those heart versus head moments. The marketer in me understands the value of this sponsorship, the rationale behind it both financially and strategically and admires the ability of the NZRFU to negotiate what seems to be a great deal (rumoured to be worth up to $20m a year for the period of the sponsorship). But the rugby fan in me sees the black jersey with the new sponsors logo on the front, standing out like a target, and decries the end of a tradition of independence, and the notion that the jersey was worth more in it’s own right than emblazoned with a sponsors logo. Yes, I know that the jersey already has another All Black sponsor’s logo on the front – Adidas – but it’s discrete and, let’s face it, they have a real stake in the jersey because they make it. It was interesting listening to the current All Blacks talk about the sponsorship and logo. My impression was that they were also torn between the value of the sponsorship and the price in terms of the jersey changes. But I’ll leave the last word to Dan Carter who summed things up nicely when he said in an interview – no matter what’s on the front of the jersey, it’s not going to make any difference to the way the team plays. And for this rugby fan, that’s what it’s all about. 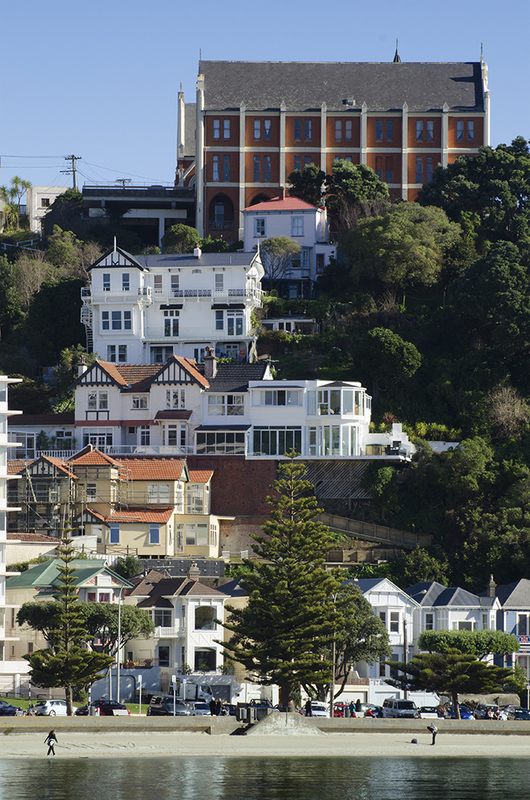 One Mt Victoria resident said he and his fiancee had noticed the noise on Saturday and it hadn’t stopped since. He likened it to a low to medium pitched humming sound and said it went all day and all night and was “doing his head in”. It’s been a while since the last Toscanakiwi post. Maybe that can be blamed on the end of winter – that period of the year where the worst of the bad weather is over but still the sun won’t shine and the days are more rain and wind than anything else. Good news – spring has finally arrived and from last Sunday daylight saving commenced. Suddenly the days are longer, the temperature warmer and every plant in the garden is growing as fast as it can. Last weekend we travelled to Nelson on the northern tip of the South Island for a family birthday. If there was any doubt about the arrival of spring, the afternoon spent sitting on the deck looking out over the Waimea Inlet to Tasman Bay and beyond was proof enough. It was a fantastic weekend – thank you to our wonderful hosts and, once again, happy birthday to wee James.